First of all, marriage laws and ordinances differ not only by state, but also by county. Therefore, be sure to check how to obtain a marriage license in your local county. However, your name actually does not legally get changed on your marriage license or certificate, no matter where you live in the United States. Your name change legally happens through the federal Social Security Administration. Since we are based in Chicago, Illinois, the information provided here will be more specific to our county, but the Social Secuirty process for changing your name is the same nationally. In Cook County, when you apply for your marriage LICENSE you will need to put your legal name as it is now, how it appears on your drivers license or other legal ID. After you are married, you will order copies of the marriage CERTIFICATE, which will also show your name as it is now. 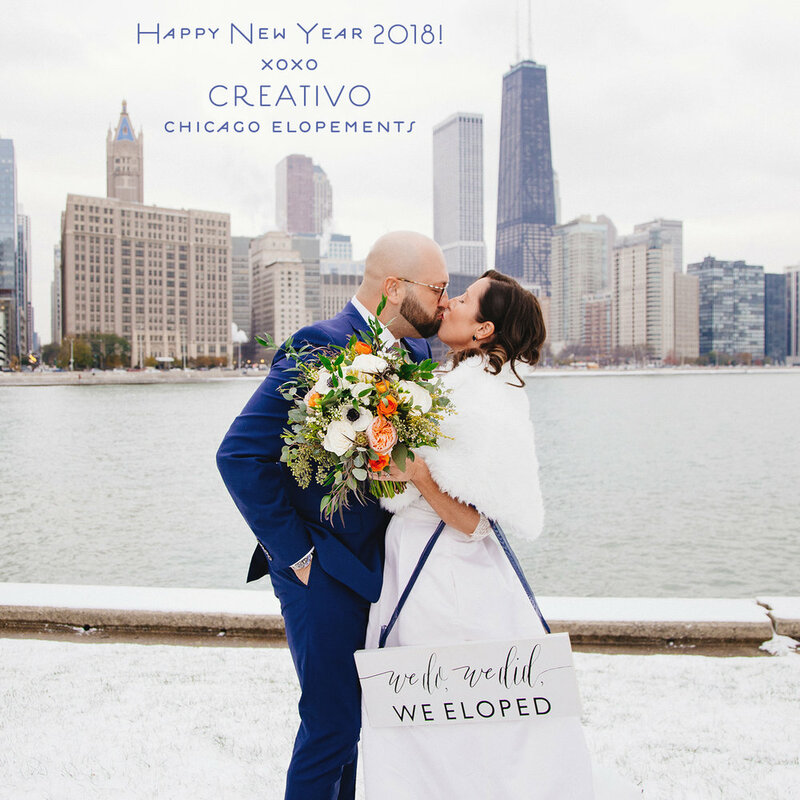 On your wedding day, with a Cook County marriage license, your ceremony officiant will be the only person who will to fill out and sign anything on the license. There is nothing for the weddding couple to fill out or sign. No witnesses sign. Just the officiant. Your officiant then delivers the fllled out marraige license to Cook County. It is best to wait one week after your wedding to be sure your marriage license has been registered into the county system. Then, you may go online to order copies of the marriage certificate and have them shipped to your home (Cook County does not automatically issue certificates, you have to order them). Information for ordering a Cook County Marriage Certificate is in on their website. We recommend ordering at least 3 certified copies if just one of you are changing your name, and at least 5 if you both are changing names. When you have received your certified copies of your marriage certificate, the next step is going to Social Security. To legally change your name in the United States, you have to provide a marriage certificate and other proof of identification to Social Security, along with their application form. Alternativley, if you are not getting married, you have to go to court to legally change your name, and provide the court ruling document to the Social Security Administration. Going through the court process in Cook County can cost $500 and upwards, so fortunately having a marriage certificate exempts people from needing to go through the court system. Here are some helpful links to the Social Security website where you will find information about what documents you will need in addition to your marriage certificate, and how to apply at your local social security office. Documents needed for changing your Social Security Card - click the button for "corrected"
The specific application form you need to fill out is the SS-5 - you can download it online from the above link. On this application form is where you will indicate what your new name will be. After you receive your new Social Security Card, then you can go to the DMV for your new drivers license, apply for new passport, and change any other forms of identification that you had before getting married. You'll need to change a lot of other important things as well. When your insurance, job, or other places ask for a copy of your marriage certificate be sure to ask them if they specifically need a CERTIFIED copy, or if just a photo copy will be okay. If you need more certified copies, you can always order more copies of your marriage certificate at any time from Cook County Vital Records. It is a legal private document like your birth certificate and death certificate, so no one else can order these documents on your behalf.